Special thank you to the following PACCC sponsors for their quality CEU programs. To quickly identify programs provided by these sponsors, use the convenient Search Category dropdown, below. The following programs are approved by PACCC for continuing education credits if you are currently certified. The following reflects the number of CEUs available for each of the sessions. These programs are offered by third party education providers. For information, price, and how to register, please follow the links as indicated. This CEU approved session was presented at the 2018 IBPSA Pet Care Services Educational Conference & Trade Show, October 2-4, 2018, in St. Louis, Missouri. You must have attended in-person to receive credit. PACCC CEU information was provided at the time of the session. For more information on the session, visit https://petcareconference.com. This course covers: proper lifting to protect from back injuries, causes of injuries, prevention of injuries, exercises for the back. This course is meant to prepare the pet care service provider in meeting the safety requirements required to control exposure of employees and pets to bloodborne pathogens. Course includes topics such as: Management policy statement, general responsibilities, covered job tasks, list of affected employees, exposure control plan, training requirements, medical records, labeling requirements, hepatitis B vaccination declination form, post-exposure evaluation and follow-up, bloodborne pathogen training acknowledgement. 1 CEU Can Benevolent Leadership End Your Staff Drama? Make the same benevolent leadership model used with the dogs work for your staff. You’ll learn the multiple roles of an effective leader and the top tools you need in your manager’s toolbox to effectively manage and lead your team without the drama. 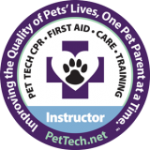 Course/Program Content Description: The PetCPR+ Certification program is designed to train the participant in canine and feline CPR and First Aid. It is our foundation animal CPR training that is ideal for anyone who loves animals including animal professionals, obedience trainers, kennel staff, pet retailers, pet sitters, animal shelter staff/volunteers, rescue personnel, groomers, First Responders, Fire/EMT and pet owners. It provides the participant an overview of what to do in an emergency situation with their pet prior to getting veterinary care. Topics covered in this class will include safe handling, restraint and transportation of sick and/or injured pets, obtaining vital signs and assessing an emergency situation, how to determine if an animal is experiencing a medical emergency, how to manage common medical emergencies including shock, allergic reactions, burns, wounds and bandaging, trauma, poisoning, choking and more. Participants will learn how to perform cardiopulmonary resuscitation using the most current veterinary endorsed methods. This program is a 2 level program Canine Provider and Canine Specialist. Course is designed to introduce the student to the basic care of canines. Major areas covered in Provider Level are: Basic Anatomy/ Physiology, Basic Behavior: Body language, Visual Assessment of Animal: ex. Body fluids, is animal sick or healthy, behaviors of a sick animal, parasites, Environment: Why it is important, Nutrition: Food prep, eating or not eating, Safety and handling techniques, Emergency Care: Basic reporting procedures. Major areas covered in Specialist Level are: Intake Policies/Records, Commonly Seen Medical Problems, Medical Emergencies, First Aid, Medications, Geriatric & Special Needs, Stress, Behavior – Group Play, Nutrition, Employee Safety, Client Relations, Going Green. *Have a clear understanding of the basic skills and components required for effective professional communications. *Learn steps you can take to contribute to a positive and open communication culture in your work environment. *Improve your understanding of verbal communication including body language and vocal components. *Know the words and language to use to keep customers happy and contribute positively to good teamwork. *Learn to communicate professionally in written forms for excellent customer service while facilitating high quality team pet care. *Contribute to a healthy communication culture by understanding the priority and timing of internal communication. *Confidently use your communication skills to avoid, prevent escalation or resolve conflict in the work environment. *Use assertive communication, validation and negotiation techniques for improved teamwork and customer satisfaction. Graduates of this professional course come away fully equipped to start a safe, ethical dog walking business, or to advance an existing one. Intensive study includes canine learning theory, canine behavior & aggression, canine body language & ritualization, basic training techniques, walk management techniques & protocols, screening & group composition, dog fight & emergency protocols, client communication/intake/management, ethical business practices & effective marketing, and more. 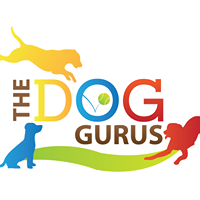 Class is appropriate for beginning and experienced dog walkers, pet sitters, and dog daycare owners and staff. This course is meant to help the pet care service provider build an emergency preparedness program by following specific processes. Those processes include: program management, planning process, implementation, assessing program effectiveness, testing the plan, program improvement and evaluation, hazardous incident responses. Course include two sample emergency plans. This course prepares the pet care service provider for fires that may occur in a building. Subjects covered include: Types of fires, fire triangles, types of extinguishers, how to use an extinguisher, rules for fires. This program prepares the pet care service provider to understand, work with, identify dangers of, and protect staff and pets from exposure to harmful chemicals. This program meets OSHA standards. Curriculum includes: General responsibilities, training requirements for staff, protective equipment, chemical exposure and first aid, labeling, and safety data sheets. This course prepares the pet care service provider to successful prevent and identify heat stress in employees and pets. Curriculum covers: Heat stress factors, health issues in hot environments, symptoms of heat stroke, symptoms of heat exhaustion, heat stress prevention, safety meeting handout, heat index chart. Handout and chart provided in English and Spanish. Course/Program Content Description: Discussion of Rules and Regulations that apply to be in Compliance with regards to OSHA laws. This HR Manual is composed of 51 pages that assist the business owner is developing a comprehensive HR program/manual for employees. Subjects covered include: Welcome Letter, Our Mission, Our Way of Doing Business, The Purpose of This Handbook, Orientation & Training, Your Job Performance & Evaluations, Employment Policies, Hours, Pay, and Overtime, Time Clock Procedures, Resignations, Employment Policies, Benefits, Other Benefits, Facility Policies & Practices, Our Doors are Open to You, and an example handbook receipt.